CAN YOU SAY AFFORDABLE, CONVENIENT, AND LOVELY? 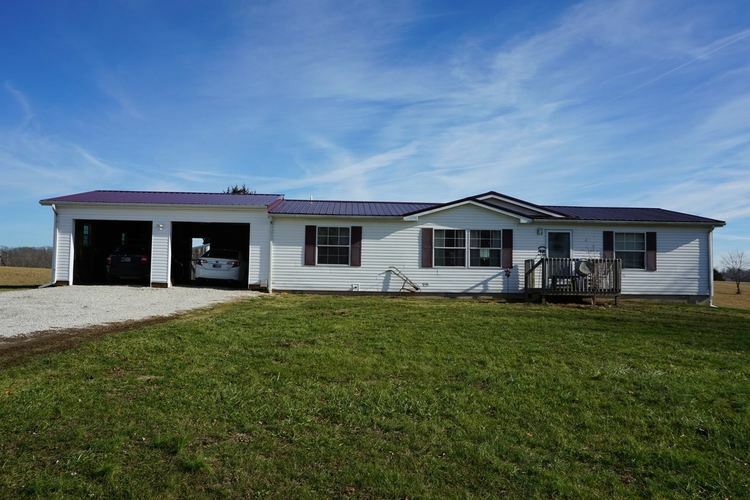 THIS 3 BEDROOM, 2 BATHROOM HOME WITH 2 CAR ATTACHED GARAGE SPELLS OUT THOSE VERY WORDS. SITTING ON A VERY NICE 1 ACRE LOT JUST OUTSIDE OF SPRINGVILLE. CONVENIENT TO CRANE, BEDFORD, OR BLOOMINGTON. THIS HOME HAS BEEN COMPLETELY REMODELED AND HAS SEVERAL UPDATES. CUSTOM GLASS SHOWER IN THE MASTER BATHROOM IS SUPER INVITING. VIEWS FROM ALL ANGLES OF THE HOME, AND BONUS FENCED IN BACK YARD. MOVE-IN READY IS ONE WAY TO PUT IT! COUNTRY SETTING AND PLENTY OF ROOM FOR ENTERTAINING GUESTS. HOME WARRANTY AND KITCHEN APPLIANCES ARE INCLUDED. SCHEDULE YOUR SHOWING TODAY BECAUSE THIS HOME WILL NOT LAST LONG.